The Biblical World: Use slavery or use freedom? 1 Corinthians 7:21 has the distinction of being the only passage in which Paul directly addresses slaves. As demonstrated in the previous chapter, the majority of Paul’s slavery language is confined to the realm of metaphor. And the Letter to Philemon, although written on behalf of a slave, does not actually speak to the slave. It is possible that one could interpret the baptismal formula in Gal 3:28 as speaking to slaves, but not to the same degree as we find in 1 Cor 7:21. The passage holds another distinction. It is one of the more difficult passages to translate and interpret. It appears that Paul left his thoughts incomplete. In 7:21 he says, “Were you a slave when called? Do not worry about it. But if you are able to become free “make use of it.” Translators and interpreters have asked the same question: use what? The direct object of the phrase is ambiguous and requires translators to make a choice. Did Paul mean that those who had become Christians while slaves should use their slavery, that is refuse the chance to become free? Did he mean that slaves should use their freedom? Or did he mean he wanted slaves to continue to use their calling by God? 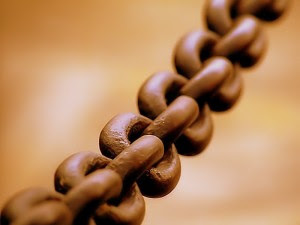 ‘Slavery,’ ‘freedom’ and ‘calling’ are each an important part of Paul’s discussion in 1 Cor 7:17-24, and a case can be made for each term to fill in Paul’s brachylogy. Scott Bartchy was one of the first to dedicate a major piece of research to the problem. He has recent made a copy of a paper available in which he argues that Paul did not mean to use slavery. If you want to have some fun. See how many ways this verse has been translated over the last century. I read this yesterday @ Witherington's blog. Kinda makes one wonder how folks can get so dogmatic about 1 translation over others.